For straight down or angled pulling. Works with pulling towers and bench systems. 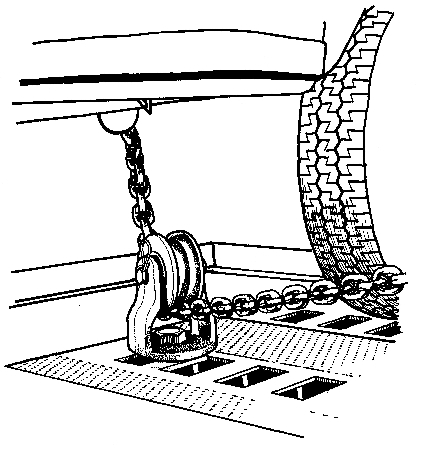 Large 5 inch wheel prevents undue chain wear. Secured with 1 inch heat-treated pin. 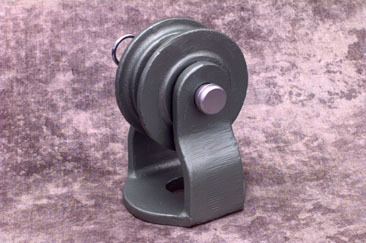 When used with the #5811 Block Pulley Adapter it offers horizontal pulls.